Treatment plan to encompass the dental needs, for the following therapies. Colour These teeth appear relatively dark in colour. This darkness is both inherent within the tooth structure (from antibiotics as a child) and is surface stain that cannot be removed or polished away. This is further compromised by the positioning (set back) and relatively small size of your smile. Shape – As discussed, even if the patient was to have Invisalign or orthodontics, the shape of the teeth would remain unchanged. 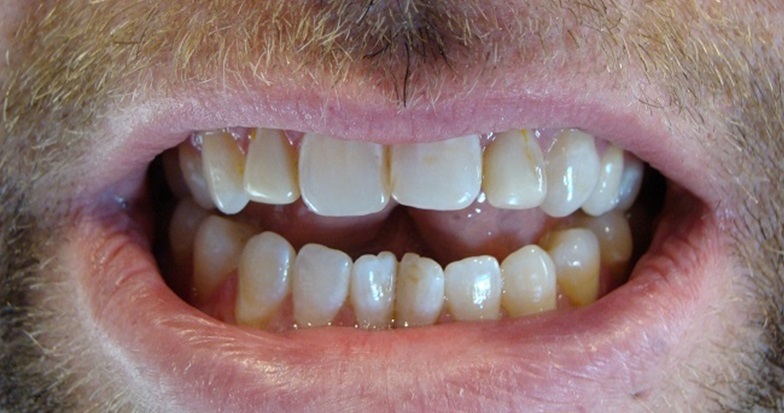 Only veneers could change the shape of the teeth. 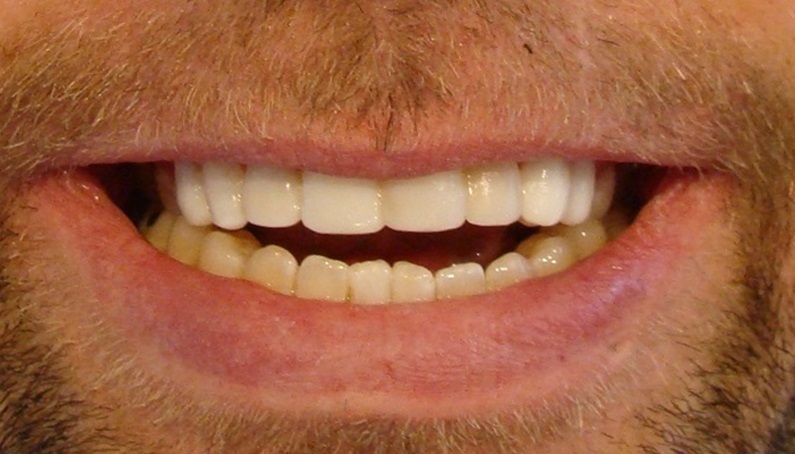 Provisional veneers will be fitted to the teeth in order to determine the new tooth contours. This treatment will be planned and previewed on previously made study models of your mouth to a prescription that will conform to ideal aesthetic and functional ideals. From the work completed on the models of the teeth, we will transfer these new contours to your teeth in the form of provisional restorations. These provisional restorations will serve as aesthetic and functional prototypes that will allow us to refine the ideal contours of your teeth over the following few weeks. This work will be based largely on the original mock up, however as discussed at the original consultation, and subject to client input, the final result will be 5-7 % smaller overall. (this is because our mock up in the mouth was necessarily larger than the final result). The client will also have input into the shape of the final veneers. The veneers will only be cemented in the mouth when you are satisfied with the results. We use a “try in” cement, and you actually get to see the veneers in your mouth prior to them being cemented permanently. In order to preserve and maintain existing tooth structure as well as your new restorations, we will need to fit a night splint. A night splint is a firm, slim-fitting acrylic guard that is custom fitted to the teeth and is comfortable to wear at night whilst sleeping. The aim of this splint is to provide a surface for your teeth to grind against, and to therefore protect them. The shape of this splint also allows it to guide jaw motion and force, so as to limit the strain on the jaw muscles and joints, thereby protecting these tissues. At completion, you will need to return for multiple follow up visits over the following few weeks, whereby we adjust your new teeth to perfectly meet your requirements regards shape and size. In this way we can custom make your veneers to your exact specifications. When we are both satisfied, we take photographs and issue you with a protective night splint. After the completion of the active phase of the treatment, it is important to note that it is the patients responsibility is to maintain their oral health on a 6 monthly review programme in order to optimize the life expectancy of the treatment carried out and your teeth in general. The greatest cause of tooth loss in adults over 40 is gum disease. Early detection and treatment will ensure you keep your teeth for life, hence our commitment to a regular screening and maintenance programme.